The O'Brien Super LeTube is the 2 person version of the classic LeTube. Included SL Supreme Tube rope. 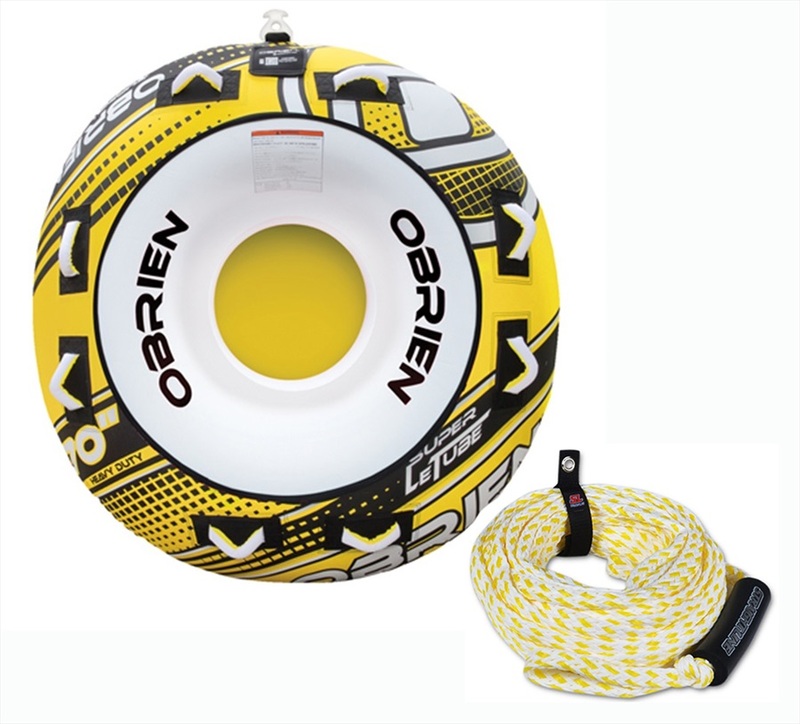 O'Brien Le Tube Cheap Inflatable Tube Package with Le Tube Towable Inflatable with great features including a Boston Valve and Quick connect hook, and Storm Tube Rope. 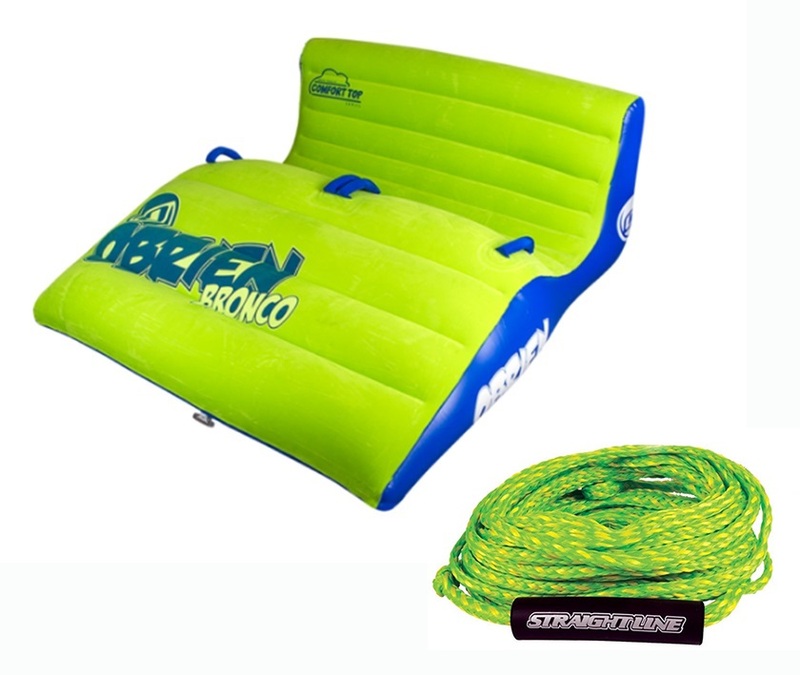 O'Brien Bronco 2 Plush Top Towable Inflatable Tube with a plush fleece top cover. Included SL Supreme Tube rope for 2 riders. Jobe Hydra Towable Ski Tube Package - Designed for serious speed in a package - all you need to get tubing. Jobe Youth Series Kids Towable Inflatable Tube Package with Jobe 2013 Starship Towable Inflatable for up to 2 riders - to get the young ones used to tubing. Also included is a Buoyancy vest and Rope - everything you need to get started. O'Brien Boxxer 2 Towable Inflatable Deck Tube with Straight Line Tube rope. All you need for a fast ride. O'Brien Lowrider 3 Towable Inflatable Deck Tube and Straight Line Supreme Tube Rope - Low-riding tube for water-splashing fun. O'Brien Tubester | Storm Cheap Inflatable Tube Pack with a great entry level towable inflatable tube and Storm Tube Rope. Jobe Rumble Towable Inflatable Tube Package - a lively tube that excels as an aggressive ride in a package to get you tubing. Jobe Thunder 1 Person Towable Inflatable Tube Package - the triangular shape of this sit in tube makes it slightly more stable in the turns than a traditional tube - in a package to get you on the water now! 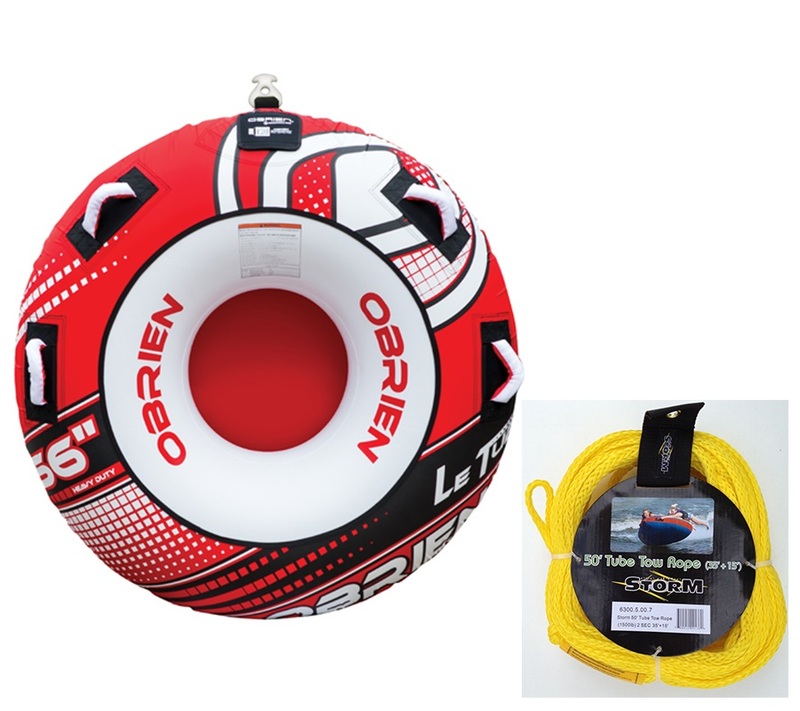 O'Brien Orbit Plush Top Towable Inflatable Tube for 2 and SL Supreme Tube Rope Combo.